McGibbon Asset Management (MAM) is a fee-based firm registered as an investment advisor under the Investment Act of 1940. The firm was founded in 1999 by a team with more than 40 years of combined experience to help clients maximize the total return on their assets. Our philosophy is to help preserve and grow capital in a manner that is consistent with our client's objectives. We are members of the Denver Metro Chamber of Commerce. We adhere to a growth and valued-added approach that requires both patience and discipline. Typically, a broadly diversified list of common stocks, convertible securities, bonds, and cash equivalents is used in structuring a portfolio. We use a flexible asset mix that is based on customer's needs, economic conditions, and market risk/reward factors. It is the goal of the company to both control risk and grow the clients assets in a manner that is most consistent with stated objectives. 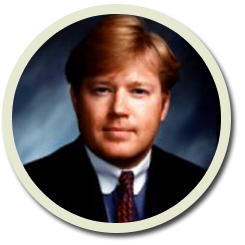 In March of 1999 Brent ended a six-year tenure with Charles Schwab as both a broker and an investment specialist. During his tenure, he successfully facilitated stock, bond and options trades for affluent individuals. Brent graduated in 1990 from the University of Arizona with a Bachelors of Fine Arts in Media Arts. In 1999, he completed his MBA from the University of Phoenix. Brent is part of the Rocky Mountain Jaguar Car Club and is active with the "Bid For Kids Charity". Also, Brent is an active pilot and is an aviation enthusiast spending free time with recreational and commercial pilots.